Attention all Bad Girls, “Bad Girl’s Club” 2015 / 2016 now casting. Do you watch the show “Bad Girl’s Club” and think that you can stand your ground against that club? Do you want to prove just how much of a bad girl you are on national TV? Or, maybe you are a bad girl who is ready to change her ways? Whatever your reason is for wanting to get on Bad Girls Club, your chance to try out is here. 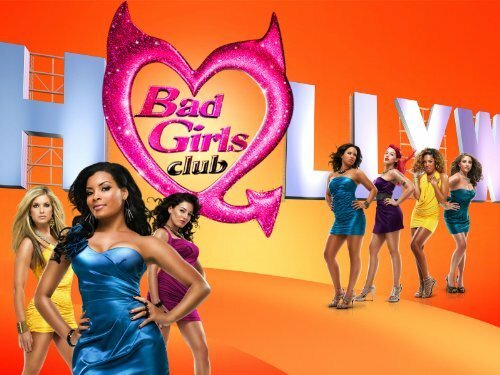 “The Bad Girls Club” is now casting a new season nationwide. Open casting calls for BGC have been scheduled all across the country and are going on all month. The show brings seven self-proclaimed ‘bad girls’ to live in a very nice mansion. These women have issues with trust and control, and claim they want to change. Will living together help them move forward and turn their lives around or will chaos rule? For past seasons, chaos ruled as did the drama in the house. To audition for bad girls club you can check out the below list of open casting calls and attend one of the events near you. To qualify to be cast in the show, you must be at least 21 years of age and must bring a valid Government issued ID (21 and over only will be allowed to audition). Also, be sure to bring a recent photo of yourself that you can leave with the casting directors. I’m from Baltimore and I have A LOT of SERIOUS questions that need answers before auditioning! Please get back to me in my email…Thanks! 4 more years and I’m there. I’m exactly what they are looking for, lol. Yessss I’m So Ready! ha ha ha ha, Watch Out For This Fire Loving Sagittarius, I’m Audition Ready! How can both me and my sister apply to be on bgc? do we just show up for the castings? I got 3 years bgc here I COME! I cant wait, I did my audition and everything. Now I’m waiting for June. That’s when they said I should hear from them. You can check out my audition on youtube danielle mccowan, Bad Girls Club season 14. I really want to try out because I know I’m just what they are looking for, how does one go about doing this? listen, pick me to be your next baddest bad girl. I’m as real as it gets. You can check out my audition tape on you tube under bad girls club season 14 scroll a lil bit and you should see me with a blonde wig, yes I said wig Lol. Check me out and be sure to get back at ya girl later love muffin(S) btw what’s up with the new season? It ain’t got to know acting when it comes to me beating butts in laying down rules..
All I Gotta Do Is Show Up For The Audition? Acting like b—ch is the best role I could play in. I’m ready. I got the acting attitude down pretty well. Cause I’m a bad b**ch and I’m real. I keep it real and I’m trying to change and better myself as a woman. More than ready to try out! Going to put this lil town called Patterson on the map! Im so ready for Bad girls club season 15 to be in Arizona, like for real, I am a bad girl. Y’all should come f**k with it. When is the next bgc coming out? Is there one? They had a casting call last year, so I would assume there will be another season. I love the bad girls club, I think I’m that b**ch and I know I am. Why don’t ya’ll come to the west? Like Idaho? I’M READY TO SHOW OUT…..
I’m so ready to go and rock it !